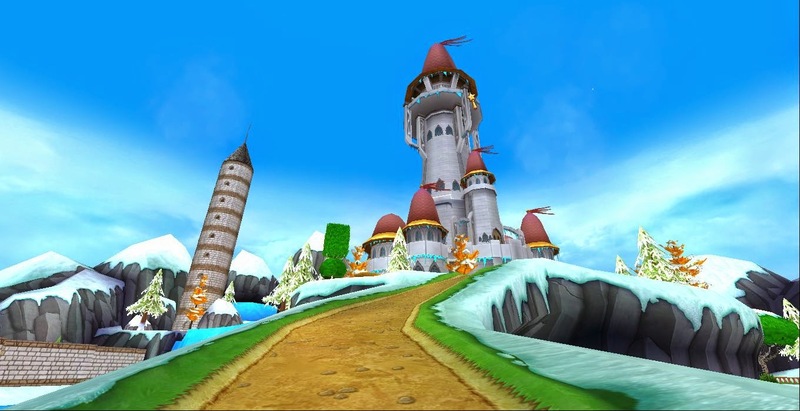 In the highlands of the Spiral there exists a tower that endures the Winter Winds, that tower is known as the Tower of Winter Winds. And recently a young Wizard just moved in, that Wizard is me, Jace Daniels. As soon as I moved in I began to devise my plan on how to decorate the house. I stalked the Bazaar's Housing section (like all professional decorators) to search for anything I thought might work well with my castle's environment. I even picked up a Crafting Table so that I could have it in my castle at all times in case I wanted to craft a housing item. But despite all these procedures decorating the house was still a big struggle. I couldn't decide what to buy, and where to put what. In the end I just kind of experimented and thus I began to create my house. Constantly going back and forth between the interior and exterior of the house I began placing items. First I started with the basics; wallpaper and flooring. Then I decided to investigate castles on the Castle Tours to see if there was anything that could inspire me. Finally I decided to place trees all around the exterior of my house to create a northern forest atmosphere. Once that was done I began to throw in some of the finer details, such as the market area, the weapons outside of the arena, the plants near the Spiral Door, etc. And to sum up the exterior I decided to create a tower for the unlucky few that happen to become prisoners and a wall to defend my tower in case there's ever anyone that tries to take my throne. Finally I began working on the interior. But before I did that I wanted to connect a teleporter to my prison tower so that I could easily transport the prisoners. So with the help of a friend I did just that. Then I began to install tings in the ball room (a.k.a. the first floor). I wanted to leave room for the dance floor so I simply placed a few railings and foliage to make the place seem less empty. And in the centre I placed a second Tower Bell because who doesn't love to have the joy of being able to ring two bells in their home? After that I began working on my upper areas. I started off with the bed room. I combined two beds to make one big fancy bed that I thought would be fit for a king. I also added a vanity and fire place to make the room seem more inviting and less empty. 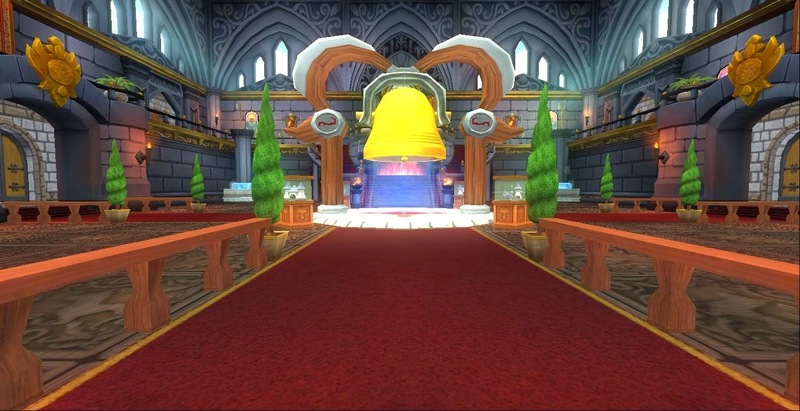 After that I moved onto the Knight's Hall or Church where I worked hard to fuse together the altars. Once that was done I threw in some chairs and a lectern. Along with a personal creation of mine, the Altar of the Burning Statue. And the milk is simply there for comedic purposes, as well as unity. It is a symbol of the lofty hall/church which praises the great Cowpig. The rest of my great tower was quickly constructed. I wanted to create a living space for myself so I used one of the rooms as so. 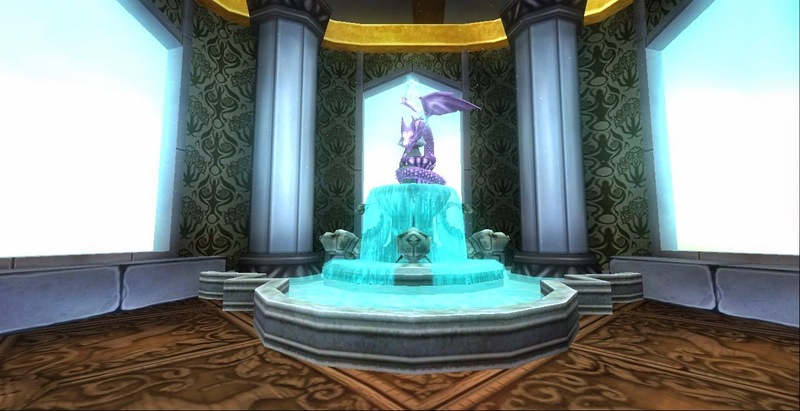 I also threw a fountain in the living room (because when you're a rich Wizard you can do anything :P), and to make it more fancy I combined a Dragonspyre music player to make it appear like the fountain head is a dragon, thus I nicknamed the fountain the Dragon's Pond. The design of the bathroom isn't much. I simply borrowed a design that I had used in my other castles and installed it the tower, thus there's not much of a story behind it. 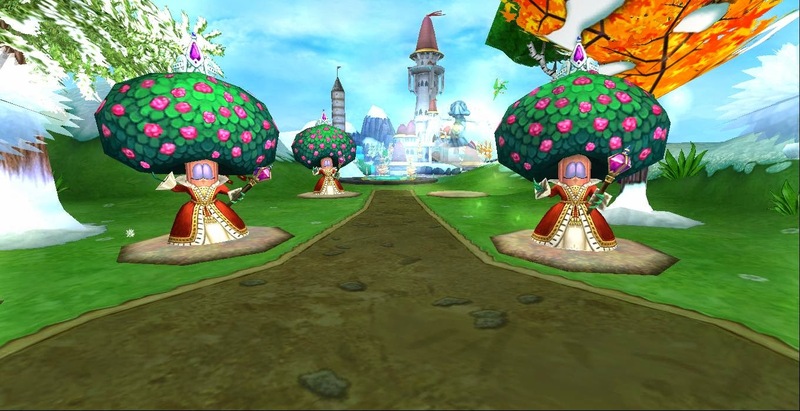 And the same goes for the kitchen as well as the Dining Hall/Throne Room. But to finish up my long journey of decorating my tower I'd like to tell you that the throne itself was probably me second most favorite thing to design in the tower. I love how it looks and I fell like it's the most unique chair that I've ever seen. Anyways, thanks for reading, and thank you Paige for allowing me to share the story of my tower. As well, I hope you all can come check out my tower on Castle Tours (If you can find it) and I wish you all a great day/night. ~ Sincerely Jace Daniels. . . .
April Fool's Mount and so much more!